Buffalo has a proven track record of top notch hospitality, from courteous and knowledgeable convention providers to attentive hotel staff who are eager to drop everything to ensure your stay makes you feel right at home. Buffalo, while being the second largest city in New York State, can be characterized with having a small town feel. Nicknamed the City of Good Neighbors, you’ll find lively neighborhoods, world-class cultural attractions and incredible architecture, but with a welcoming, warm vibe. 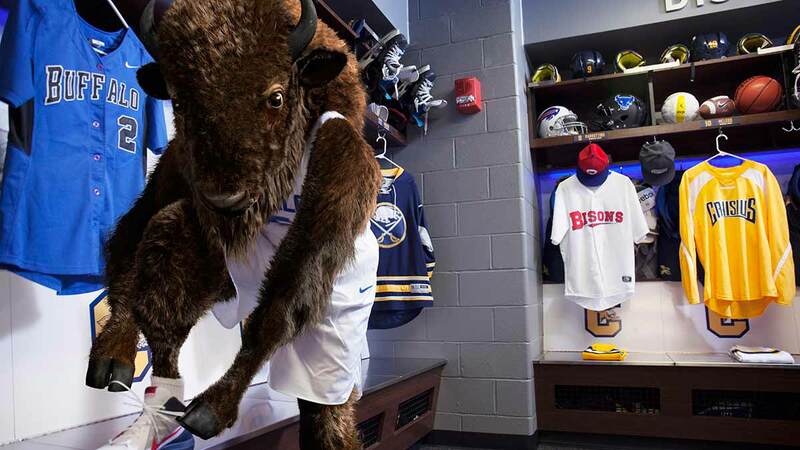 When you host your event in Buffalo, the team at the Buffalo Niagara Sports Commission will provide professional and creative event services that will ensure attendees and competitors make it to the event safely and on time, and guides them to enjoy our local attractions and restaurants once the event is over. Located within a 2-4 hour drive from places like Toronto, Pittsburgh, Cleveland and Rochester, and about an hour long flight from New York, Chicago, Boston and Washington DC, Buffalo is at the heart of several major metropolitan areas making it the ideal place for your guests to get together. Whether you’re hopping in the pool at downtown’s Flickinger Athletic Center or taking to the ice at the Northtown Center, you’ll only be a stone’s throw from your hotel. With numerous accommodation options available in close proximity to our stellar athletic venues, you can’t go wrong in Buffalo.